Hi everyone! 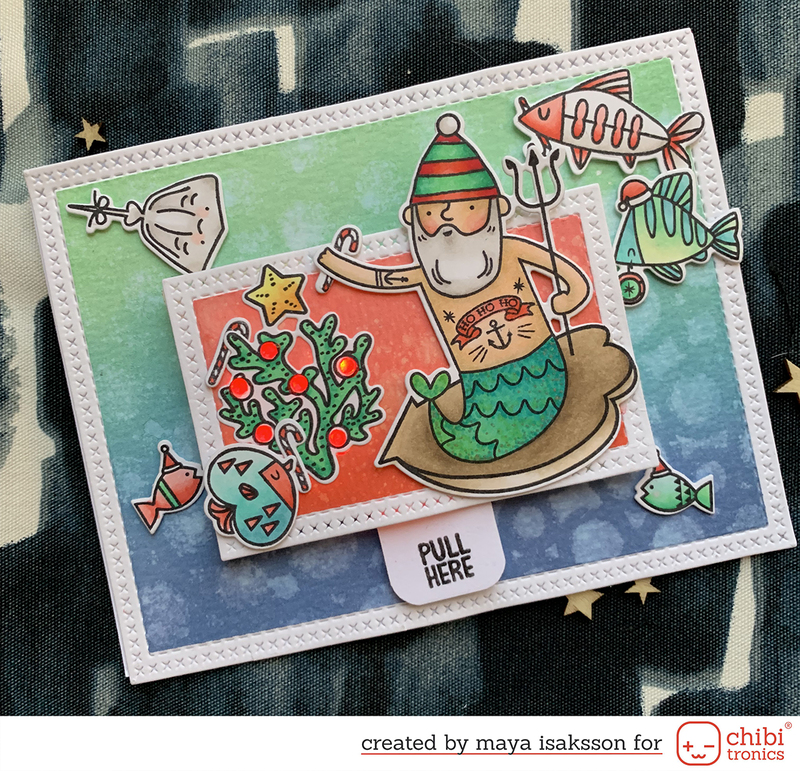 Time for another collaboration blog hop and this time with one of my absolute fav companies MFT Stamps. They have so many fun stamps and dies! 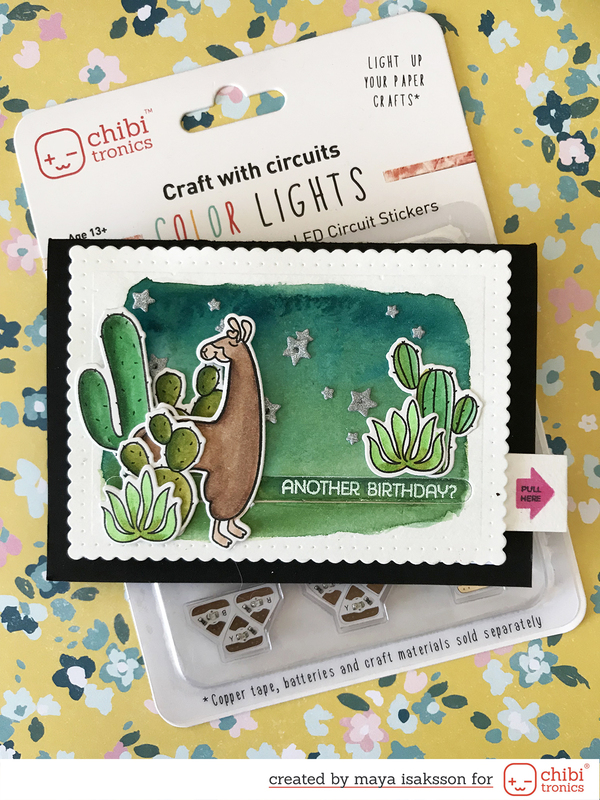 If you leave a comment on this post you could win a shopping spree at MFT Stamps or a starter set from Chibitronics. The more posts you comment on the more chance you have to win. I used this lovely llama set called Llama Love and the coordinating dies for my focal image. I adore llamas and there are a lot of fun plants and texts to go with them. When you pull the tab the stars light up and the hidden text is revealed. Fun, right? Here are the parts needed to make this kind of card. You need a card front and cut out a slit for the text to show up under. Save the cutout piece as you will need it later. Die-namics Surf & Turf has a perfect slit to use for this. You will also need a cover to hide the circuit under the slit. I stamped my message on this and it will be revealed when sliding out the switch to light up the stars. The circuit is built on a separate piece of cardstock and I'm using a sliding switch for this card. 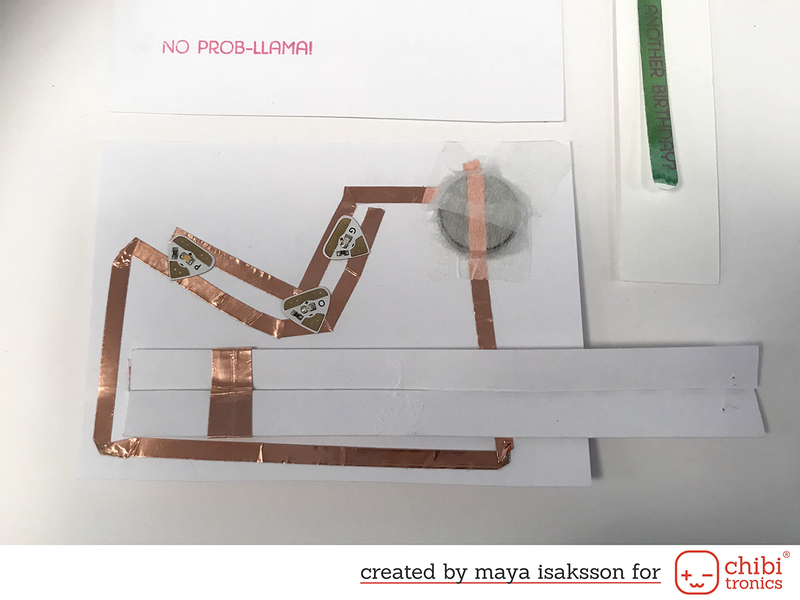 It's basically an x-shape that goes through a slit in the paper and connects the copper tape both in the back and front when the switch is slid to the right position. I also made another long piece to attach to the switch. The cover plate goes between this and the switch and this is what slides away to reveal the hidden message under it. Here's a close up of the circuit. 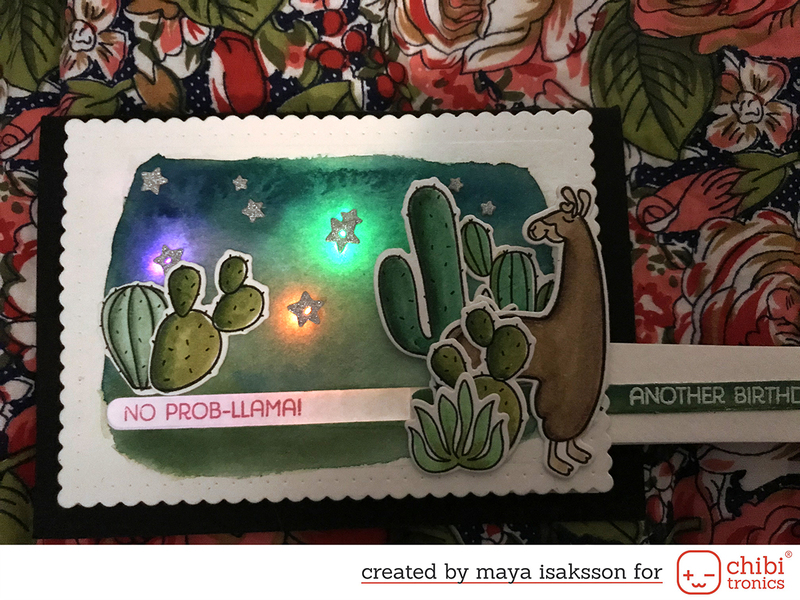 It's just a regular circuit with three lights and a switch, it's just a bigger slider to show off the message and move the llama to the other side of the card. I added some foam tape to the switch to make sure the connection is good, as well as around the card. I didn't get a photo of the next step but I just attach the blank cover to the foam tape and the right outer side of the slider to the slider and backing. Then I attached the card front on top using glue, just making sure not to put any glue where the slider is moving. No probllama, right? I hope you enjoyed this card tutorial and that you have fun on the hop. 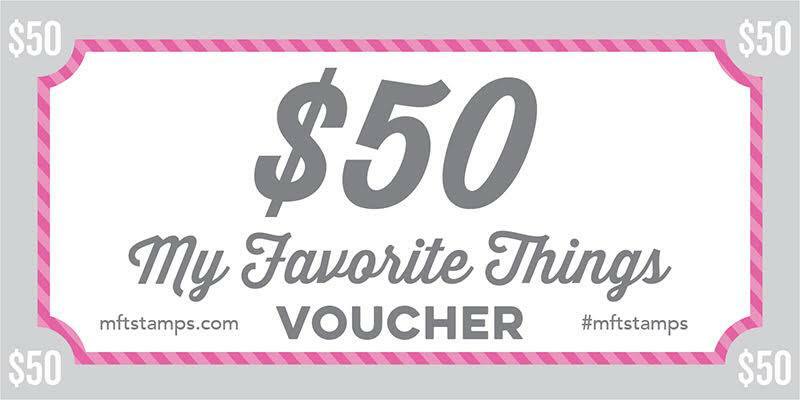 You can find the list below and don't forget to leave a comment for a chance to win! That's a really funny project! Thanks for sharing. Thank you for visiting :) Enjoy the hop! Your card is amazing; I love it. The llama is so cute and the light-up feature really adds an element of fun! These kits look like a lot of fun to create with. What a wonderful card. Love how the sky lights up. Thanks for sharing..
Great interactive design and cute llama. No prob-llama! lol That is super cute. Great idea on the slider cover. 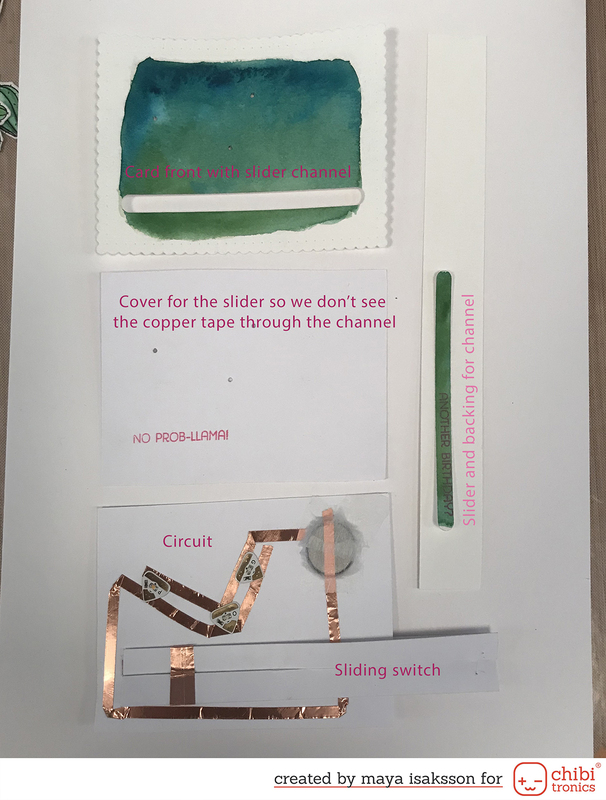 I made that mistake and have an open channel that I can see the copper tape though. But I'm learning! 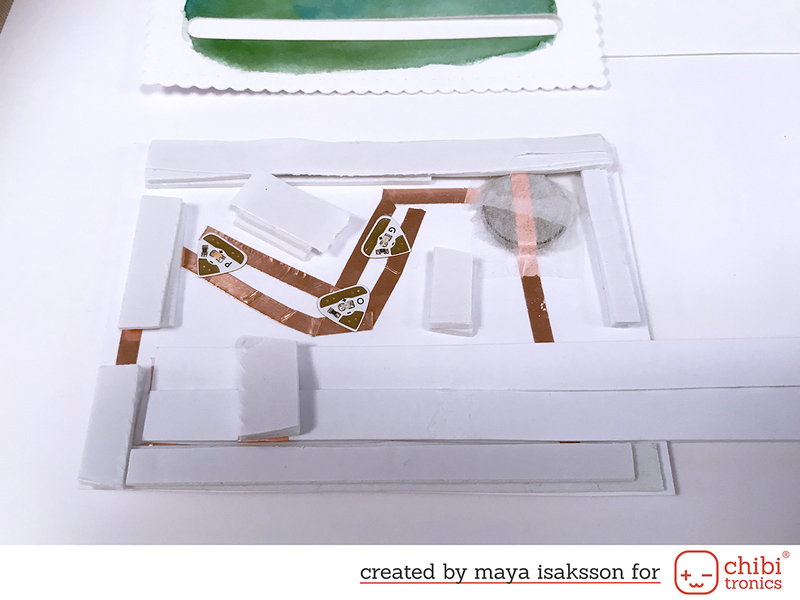 Thanks for sharing your how-to on this great card. LOL, love this one :) Thank you for sharing!! Love this llama light up sky. And the sentiment is just hilarious. Love the sliding llama with the sentiment reveal and, especially, the use of colored lights to give kinda of an aurora effect! Fab!! Love your color light up card! Love your profile statement first off -- especially the slippers to shoe ratio, LOL! Your card is wonderful - and I have the Llama Love set so now off to get some Chibitronics so I can shamelessly C.A.S.E. your great card! TFS!! So pretty and the card design is perfect! Incredibly creative. I love it! 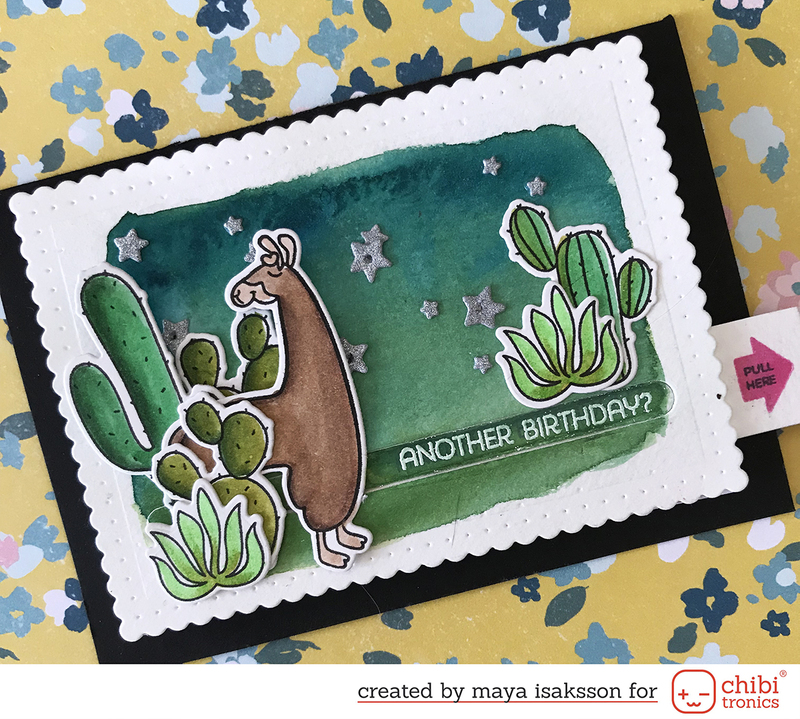 I love this adorable and fun card! A slider and lights! Cool! Haha! This is so fun! I love the llamas and the use of the colored LEDs instead of just white. How fun! Love the slider and then there are lights. Fantastic card and so much fun. Getting incentive to try these lights myself. Thank you, ​Mary! You really should try the lights, they are so much fun and you'll start looking at your stamp sets in a whole different way knowing you can make them light up too :) Good luck and have fun! Oh, thank you Jane :) That's so sweet! I hope you enjoyed the hop! This set is so much fun, MFT has the best sentiments :D Thank you for stopping by and I hope you enjoyed the hop! Thank you! You really should, it's so much fun! :) I hope you enjoyed the hop and got some inspiration to try it yourself. That's so sweet Linda, thank you! I hope you enjoyed the hop! Thank you so much, Iris. I hope you had fun on the hop! Thank you so much, Amber :) I hope you had fun hopping! Wow, that's so sweet of you Kirsty! Thank you so much :) I hope you enjoyed the hop! Ha! I am happy to inform you that after getting a pair for Christmas and one for my birthday I might actually have more slippers than shoes now. I don't dare to count them. Go ahead and CASE, I would love to see your version! Have fun and thank you so much for making my day with your kind comment! The colored lights are always fun, but the aurora effect on the dark background was all accidental and I was pleasantly surprised when I noticed it :) Thank you for your kind words, I hope you enjoyed the hop! I totally agree on the sentiment, MFT has the funniest puns :D That's one of the reasons why I love them! Thank you so much and I hope you had fun hopping! Interactive cards can be super tricky at times, I had to really think before figuring out how to hide the tape for this one. Good thing is that everyone shared a lot of good ideas on this hop so we can learn all from each other. My Chibitronics teammates are genius, they always impress me with their solutions and I learn so much from them. I hope you got a lot of inspiration and had fun hopping. I know I did :) Thank you so much for your kind words! LOL, yes, I found this sentiment hilarious. I would totally laugh if someone gave me this card :) As long as you keep a piece of the kid inside then getting older is really no probllama! ;) Thank you for your sweet words and I hope you enjoyed your hop! Thank you so much! I hope you had fun hopping! Thank you! I hope you enjoyed the hop! Thank you, Lena! I hope you had fun on the hop! I totally agree on the llama, he (or she?) is adorable! Thank you so much and I hope you enjoyed the hop! Thank you, Jeanne! I hope you enjoyed the hop! That's so sweet! I got super happy reading your comment :) I hope you enjoyed the hop! Chibis makes everything better ;) Thank you so much, I loved reading your comment! I hope you had fun on the hop! Yeah, all the llamas in the set are so cute! I have a little pile of them colored up on my desk because I just can't stop making one in each color I can think of. The chibis are really awesome, once you start you can't stop coming up with new ways of lighting things up. You will never look at your stamp sets the same, promise! I hope you had fun hopping! Thank you for your kind comment! Thank you so much! I hope you had fun on the hop! That's so sweet of you! Thank you :) I hope you enjoyed the hop! Very fun slider card and you just made it more amazing with the multicoloured lights! Super fun card! I love a good pun. Interactive and lights, got love that. How cool! Love this ideas! Thanks fro sharing! Oh my ! That’s such a fun card design ! Fantastic card! I love the coloured lights!